Over the last 3 years, the demand for Singapore residential properties among foreign buyers have been gradually diminishing due to the higher stamp duty imposed. According to statistics from the Urban Redevelopment Authority of Singapore (URA), the number of private residential properties purchased by foreign buyers have dipped by 22%, from 1,148 transactions in 2014 to only 895 units in 2015. 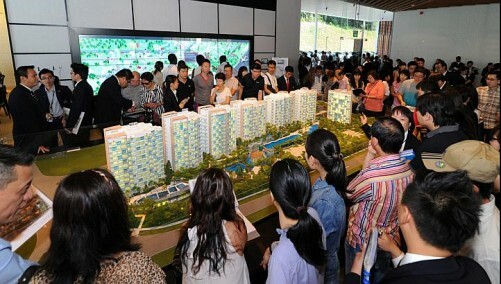 Apparently it’s a new record low in foreign buyers buying into Singapore property market. With literally no signs of the Additional Buyer’s Stamp Duty (ABSD) being removed, it has spurred prospects to look out of Singapore for better real estate opportunities. Market watchers have said that the Singapore property market will likely remain depressed for year 2016. On the contrary, the number of private residential homes (resale and new launch condo projects) bought by the locals (Singaporeans) have increased to 9,967 units in 2015 (a 12.4% gain as compared to 2014), while purchases made by Singapore permanent residents have also increased by 13.7% (to 2,522 homes) in 2015 year-on-year. Among the foreign property buyers, the Chinese, Indians, Indonesians and Malaysians have made up most of the transactions, with the Chinese buyers topping the list. Based on the figures reported, they have acquired a total of 952 units in 2015, a 4.6% decline from the 998 units transacted in 2014. Over the last 5 years, there has been a surge in PRs buying residential homes in Singapore. One of the reasons mentioned is due to the restriction which bars newly-conferred permanent residents from purchasing HDB flats from the open market within the first 3 years of being given the PR status – thus driving more PRs into the private residential property segment. It was being shared by market watchers that PRs tend to be more driven to purchase a private property in Singapore as a long-term option for own occupancy, whereas foreigners (non-PRs) are buying as Singapore proves to be a safer haven for investments. It was also being observed that PRs tend to have lower budgets these days for their private property purchase and are mostly interested in unit sizes of approximately 1,000 sqft in locations such as Newton & River Valley. However, during the 2007 Singapore property boom and economic recovery period between year 2010 to 2012, it was common that these group of buyers was looking at bigger units (more than 3,000 sqft) which could easily reach a purchase price of more than $8 million. Even though analysts reckon that the number of property purchases by PR and non-PR foreign buyers will continue to decline in year 2016 due to the subdued economic situation globally, positive signs are still showing as Singaporeans are expected to be still actively buying into local properties as prices reach a stabilized point.